Note: I was employed by the City of SeaTac and helped guide the development of the clarity map in this success story. I have since left the organization but give “two thumbs up” to my colleagues who are still there, employing this approach and keeping it out of the ditch! Why do we need both a vision and a mission? Is this just a laundry list of what we do? Is it okay that we feel some some of the words in our mission are aspirational? Do you ever achieve your mission and have to start a new one? A vision is arguably the ultimate BHAG (big hairy audacious goal). In discussion of the City Council’s vision, staff members said they thought it would take at least 75 years to achieve. But the organization lacked agreement on a day-by-day route to get there. Although staff at the City of SeaTac knew the term “mission statement,” conflicting definitions soon arose. Some thought of the vision as the mission. Some thought there was no reason to have a mission if you had a vision and goals. 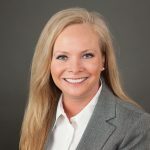 With help from Integris Performance Advisors, the Leadership Team eventually settled on a simple way to explain the difference: If visions are the inspiration—that dream destination—then the mission is the route you have to stay on to get there. With an understanding of how mission statements align organizations, the executive team began development. Focusing on the customer’s perspective, we created a concise statement of our business strategy incorporating core delivery values such as quality and financial responsibility into how we served our customers—the residents of SeaTac. Although developing a mission statement portion was a comparatively simple exercise, the team became mindful of how important it was to make sure everyone felt represented. That lesson would carry into discussions about goals. Now the City of SeaTac had a set of core values (the fog line), a vision (the destination) and a mission (the route). But the hard work wasn’t over! Do these goals reflect our ongoing work or just new work? What if we don’t meet them in 3-5 years? How will we watch to see if we are getting close or will we find ourselves five years out not hitting our goals? It appeared that the City of SeaTac was going to finish its clarity map in short order as it started on goals. As with the vision, the organization put a high priority on the goals of the elected officials so the first goal became “Achieve City Council goals.” To capture the critical contributions of all departments, goals were drafted around financial responsibility, stewardship of assets and public safety. It was thoughtful work ensuring every department felt reflected in the goals. Ultimately the team settled on four top goals in addition to achieving the City Council goals to reflect the work of all 11 departments. After seeking organization-wide feedback on the draft clarity map, the Leadership Team rolled out the final version with a commitment to revisit the document every two years. It seems the teenaged city had learned to drive and was on its way. Just two years after kicking off the effort to bring clarity to the City of SeaTac with a vision, mission, values and goals, an employee survey showed improvement. Results showed a 12 percent increase in employee understanding of the goals and how they contributed—a shaft of sunlight through the previous fog. Have you seen the 1987 movie “Planes, Trains and Automobiles”? That’s the ultimate tale of adapting when unforeseen circumstances arise by creating agreement around what you care about, where you are going and how you are going to get there. The two starring actors certainly had a rocky start when the strangers were stranded together during the Thanksgiving holiday. Yet they eventually had to learn how to work together to get home. The unfortunate circumstances ultimately concluded with the newly formed team reaching their destination no more the worse for wear (that is if you don’t count the night Steve Martin spent snuggling with John Candy in a very small hotel bed). With a thoughtful approach to creating clarity with an organization vision, mission, values and goals you won’t head off into the unknown on your own or, worse yet, with someone who doesn’t share your interests. *Postscript: You’re right. There is no “forever” answer for organizational clarity. But that is the point! 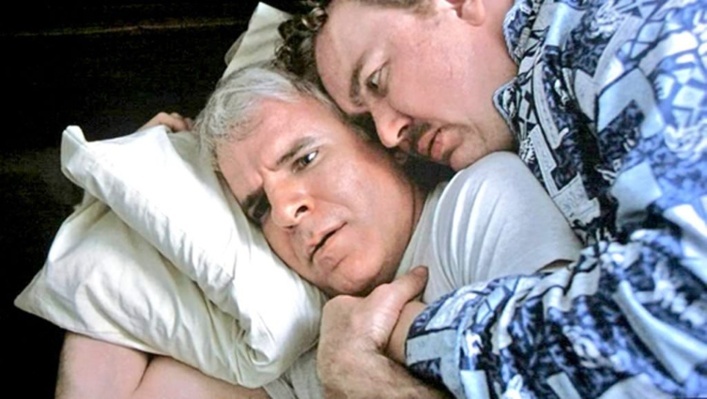 John Candy and Steve Martin in “Planes, Trains and Automobiles.” You don’t have to be THAT close to your teammates! Please read part one of this story.